Water permeability is a key feature of the cell plasma membranes and it has seminal importance for a number of cell functions such as cell volume regulation, cell proliferation, cell migration, and angiogenesis to name a few. The transport of water occurs mainly through plasma membrane water channels, the aquaporins, who have very important function in physiological and pathophysiological states. Due to the above the experimental assessment of the water permeability of cells and tissues is necessary. The development of new methodologies of measuring water permeability is a vibrant scientific field that constantly develops during the past three decades along with the advances in imaging mainly. 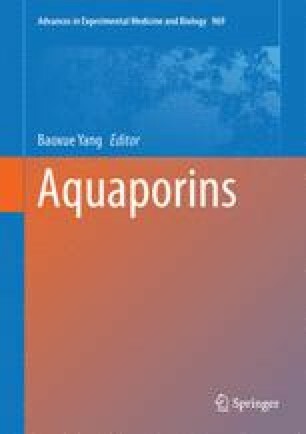 In this chapter we describe and critically assess several methods that have been developed for the measurement of water permeability both in living cells as well as in tissues with a focus in the first category.